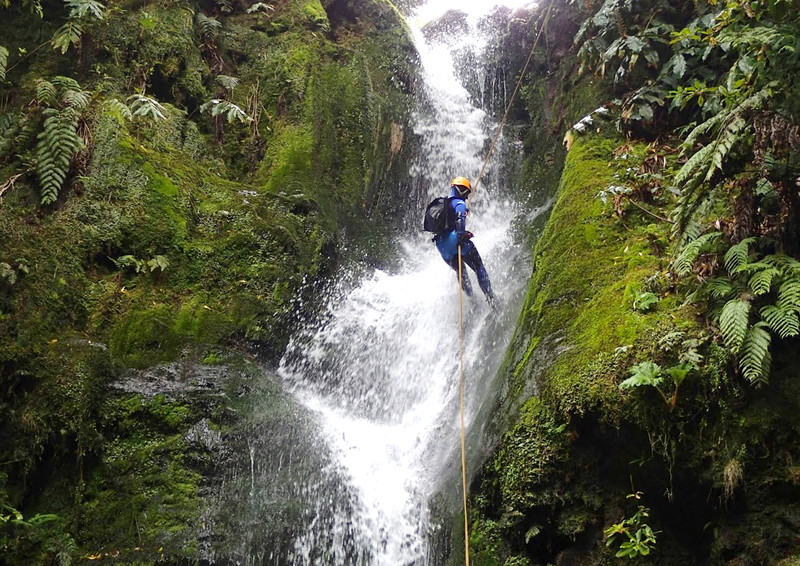 Ribeira dos Caldeirões Natural Park is a protected area that stretches along the part of the water stream of Ribeira dos Caldeirões, in the parish of Achada, in the county of Nordeste, on the island of São Miguel. 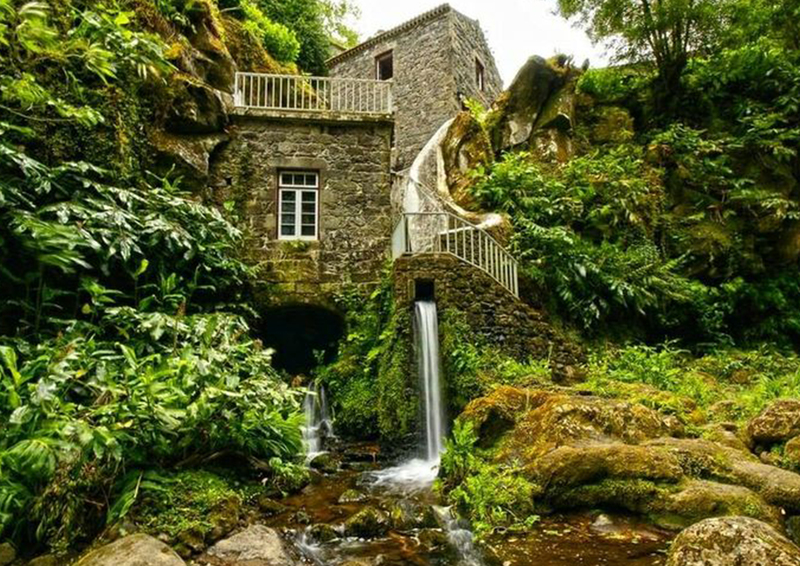 This natural park is located on the slopes of Serra da Tronqueira and occupies a part of the water stream of Ribeira do Guilherme, a riverside where the Ribeira do Gulherme Botanic garden is also situated. 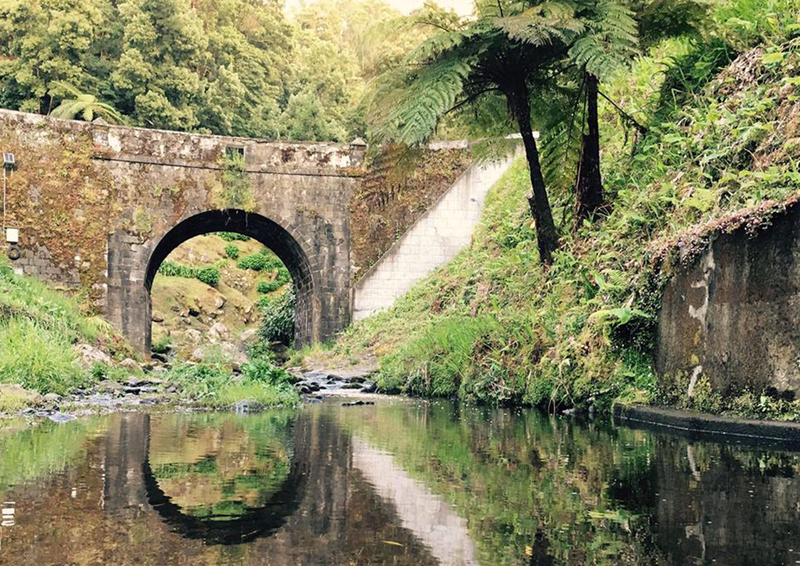 In this natural park, you can observe an abundance of various Macaronesian flora, whereas Laurissilva is predominant, highlighted by the large-sized tree ferns. Furthermore, you can find massive Hortensia and large-sized cedars grow in abundance. 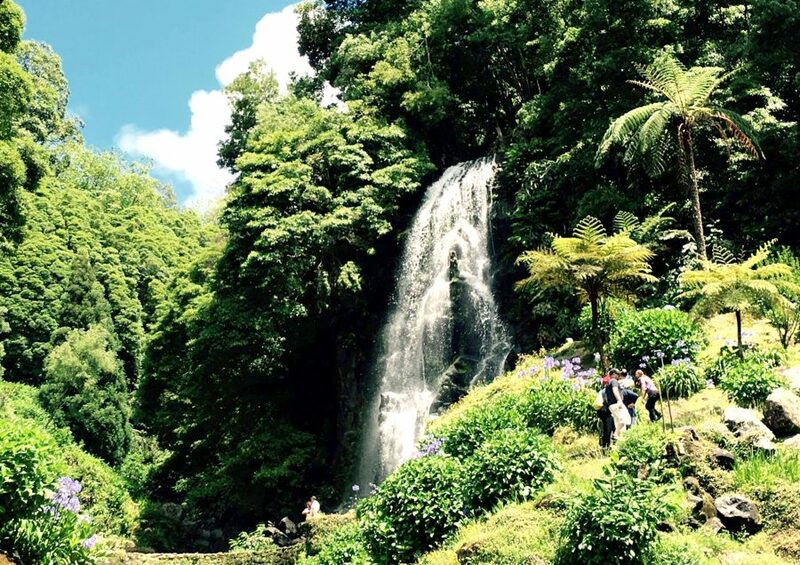 This natural park, which follows the stream of the river, outstands due to the existence of the cascade that provides water to the part of the park. The fact that in its forests we can find the Azorean bullfinch, an endemic passerine bird that is associated with vegetation diversity, has led to the inclusion of the park in the Zona de Proteção Especial do Pico da Vara e Ribeira do Guilherme. 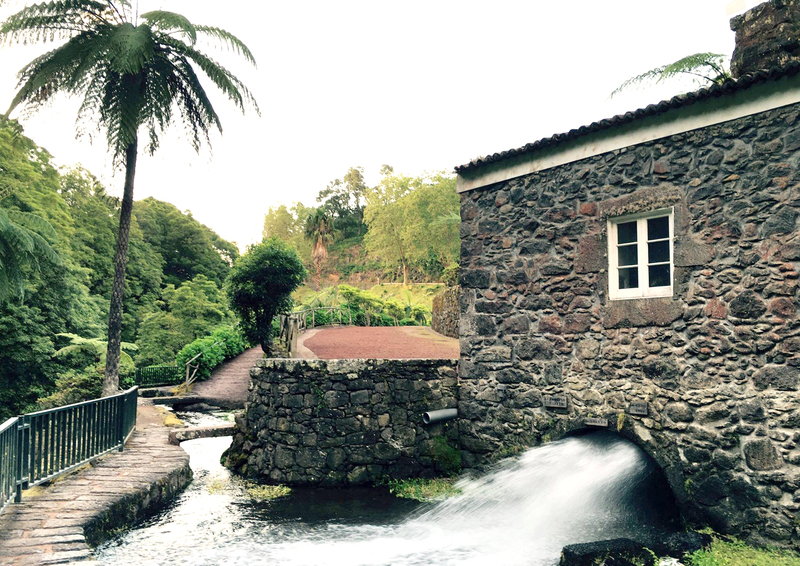 Ribeira dos Caldeirões Natural Park houses 5 watermills on its territory, three of which are classified as properties of public interest by the Resolution nº 79/97, from April 10th, published in Jornal Oficial da Região Autónoma dos Açores. All of the mills are a property of the Municipality of Nordeste. 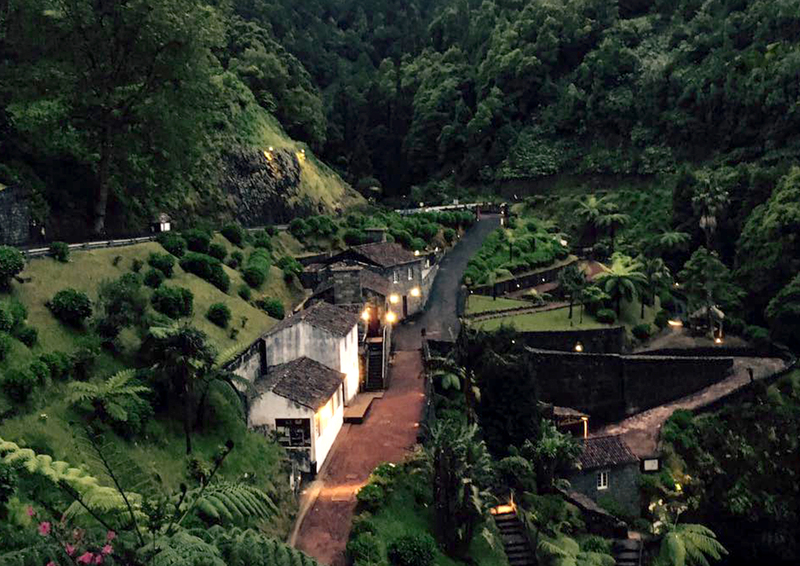 These mills date back to the XVI century, when they were constructed among many others spreading all over the region of Nordeste, and represented the only source of subsistence and income of numerous families. Some of the mills are still in function, and in one of them an ethnographic museum is situated. The houses of the mills have been transformed into the craft shop, rural tourism and a Café.